I would like to take this opportunity to Thanks and Welcome Nakivo as my First blog sponsor. It's both a Proud and Happy Moment for me so dedicating this article to say Thanks and to understand a little history about Nakivo as a Company and also be doing quick glance on Nakivo Back Up and Replication. 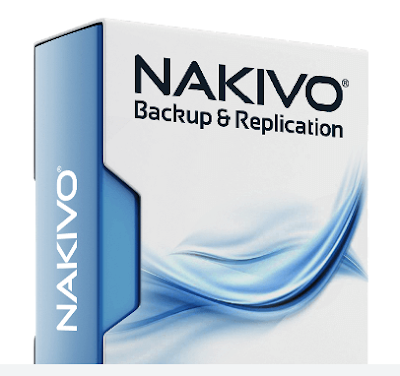 Headquartered in Silicon Valley, NAKIVO Inc. is a privately-held software company that develops and markets a line of next generation data protection products for VMware VM backup, replication, and recovery. NAKIVO has been profitable since founding in 2012, has been named an "Emerging Vendor 2013" by CRN, and reported a revenue growth of 800% in 2013. This has put NAKIVO on top of the list of the fastest-growing data protection companies in 2013, outpacing all of its competitors. As an Elite member of the VMware Technology Alliance Partner program, NAKIVO has close working relationships with VMware and is further aligned with VMware to promote the use of VM backup for virtualized server environments. When it comes to the deployment of Nakivo Backup & Replication it is available for both VMware and AWS EC2 environment. Installation is just a matter of Clicks away as it is available as preconfigured virtual appliance, Windows based installation, Linux Based installation and Preconfigured Image for our AWS EC2 Environment. Backing Virtual Machine was never so easy with a simple to use Graphical User Interface we can back up our Virtual Machines by creating Schedule Jobs or on Demand. Replication can be taken care of a live running Virtual Machine by maintaining 30 recovery points for our Virtual Machines. With Nakivo Backup and Recovery v6.1 we can make use of Direct SAN access transport mode for backing up Virtual Machines and Replication if the Virtual Machines are residing on SAN Storage. I am currently busy doing my initial New Home Lab Setup post that i will be Integrating Nakivo Backup and Replication in my Environment and will test it's functionalities and will keep the blog post updated with more post.